Just a bit odd… | Scientists are people 2! ← What is “scientists are people 2” going to look like? 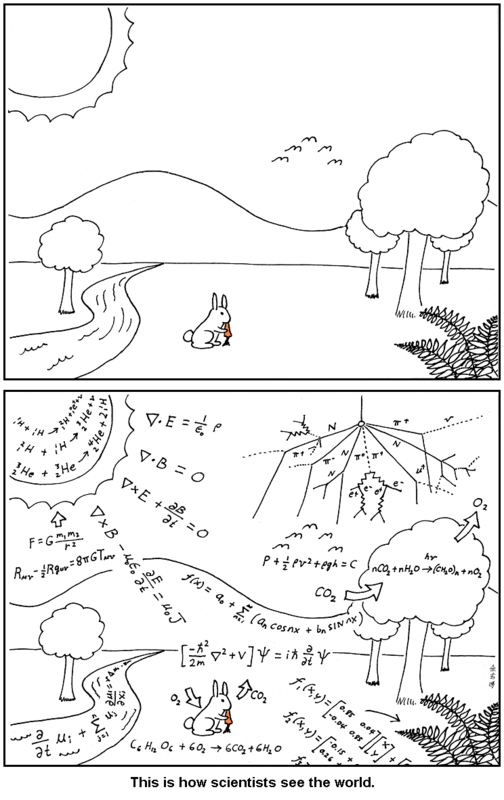 So, what is it that makes scientists seem “a bit odd”…? Of course, there are the obviously iconic scientists, such as Einstein, who nailed the crazy hair lifestyle we now associate with a slightly unkempt genius, and Tesla, who was fixated on the number 3 and posthumously recognized to have obsessive compulsive disorder (OCD). But these science characters are unique, even among scientists, and most scientists don’t hang out that close to the end of the oddness spectrum. However, the perception of “oddness” runs strong in our communities. Fermilab, a science education center affiliated with the Fermi National Accelerator Laboratory and the U.S. Department of Energy, ran a very cool project called “Who’s the Scientist?“. The project had seventh graders (most had never met a scientist) draw what a scientist might look like and describe who they are. The students then visited Fermilab’s Lederman Science Center (40 miles west of Chicago, if you are interested) and spent some time in small groups, chatting with physicists from the Accelerator Laboratory. After the field trip, students were asked to redraw their scientist, and the results were pretty amazing! As a blog claiming that “Scientists Are People 2!”, my mission is to continue introducing scientists to everyone else, including seventh graders. 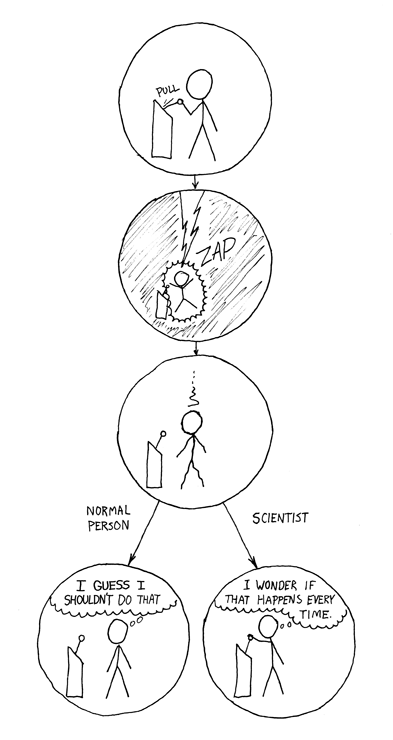 But, like the program at Fermilab, I want you to see the scientist as a person with a normal life outside the job. This blog will host interviews with real scientists, as real people. Many of my interview questions will be aimed at finding that unique space between the normal person and the scientist. A place where people from both communities can begin to understand each other and communicate better. And what better way to describe that place than with humor! This entry was posted in SciComm, Science personalities. Bookmark the permalink. PS. If you have suggestions for questions that might explore the space between the person and the scientist, please share them in the comment box below!